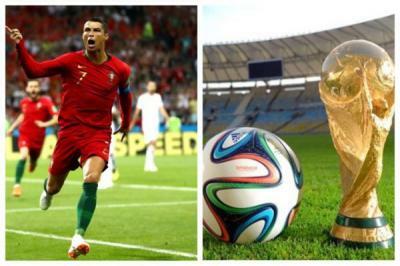 Last nights Spain vs Portugal draw proved to be a World Cup classic, as Ronaldo scored a hat trick, while Diego Costa got a brace for himself. Reacting to the game Portugal captain, Cristiano Ronaldo has hailed his hat-trick in their 3-3 draw with Spain, as a “personal best”. Ronaldo produced a display of individual brilliance, as his side avoided defeat in their 2018 World Cup opening fixture against La Roja. The Real Madrid forward opened the scoring with a penalty, before Diego Costa levelled with a fine solo effort. Ronaldo made it 2-1 before the break, but Costa struck again in the second half. Nacho slammed in a stunner to make it 3-2. “I’m very happy. It’s a personal best. It’s a great moment. One more in my career. “But what’s more important is how the team played. We were playing a great team. In my opinion, it was a fair result. Obviously we are very happy because the game was about to end and we managed to equalise. It was a hard-fought game.